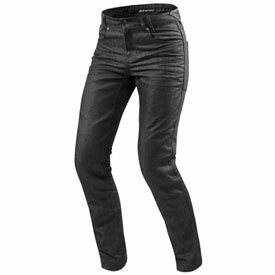 The Lombard 2 is an improved successor of our Award winning Lombard jeans. The regular fit jeans have been revised for a better fit and so that we could incorporate our in-house developed SEESMART™ protectors at the knees and optionally at the hips. The extremely strong construction of Cordura® denim and strategically placed PWR | shield remains, but riders have the option to choose dark blue or dark grey as their preferred color.